On September. 30th, 2016, ABKCO Records released a massive box set including all of the studio albums released in mono by The Rolling Stones in the 1960s. The Rolling Stones in Mono, available in both 15-CD and 16-LP vinyl configurations, as well as Standard Digital, Mastered for iTunes and True HD (96k/24 bit, 192k/24 bit and DSD), contains a total of 186 tracks, 56 of which had never before been heard in mono since the advent of the digital age, according to the original announcement from ABKCO, which retains the rights to the Stones’ early recordings. Fast forward to May 22nd, 2018, and ABKCO has released an official lyric video for the group’s 1967 smash hit, “Ruby Tuesday,” to coincide with The Rolling Stones’ 2018 #NoFilter tour of the U.K. and Europe. 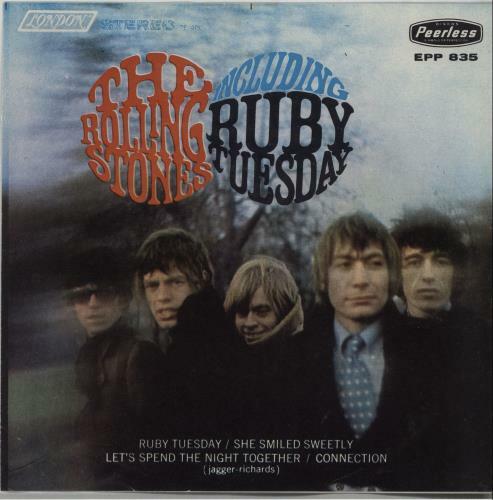 “Ruby Tuesday” was featured on the American release of the 1967 album, Between The Buttons. This version features Mick Jagger on vocals, Keith Richards on guitar, Charlie Watts on drums, Ronnie Wood on guitar, Bill Wyman on bass, Matt Clifford on keyboards and French horn, Bobby Keys on saxophone, Chuck Leavell on keyboards, Bernard Fowler on backing vocals, Lisa Fischer on backing vocals, Cindy Mizelle on backing vocals, and the Uptown Horns.